By the 1930s over two-thirds of Germans lived in towns and cities, and those who did not found themselves inexorably affected by the ever-growing urban vortex. 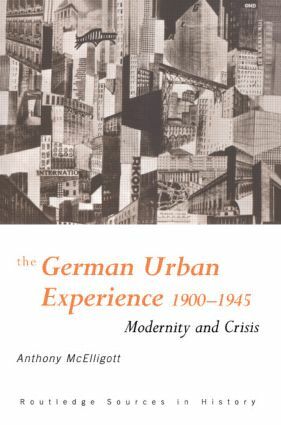 The German Urban Experience 1900 - 1945 surveys the social and cultural history of Germany in this crucial period through written, visual and oral sources. Focusing on urbanism as one of the major forces of change, this book presents a wide range of archive sources, many available for the first time, as well as film scenes, literature and art.